A sale would come just months after the supermarket tabloid revealed on its front page that Amazon CEO Jeff Bezos was having an affair. 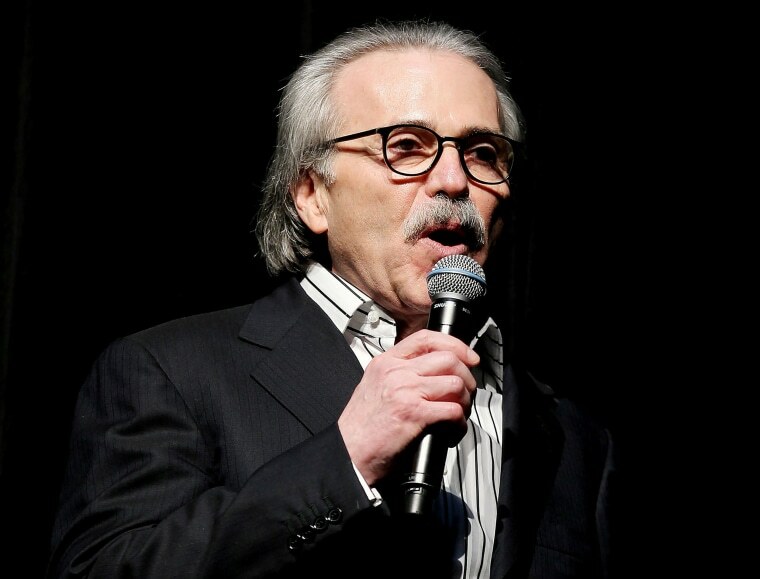 American Media Inc. said Wednesday that the National Enquirer is up for sale. The company, run by chief executive David Pecker, a friend of President Donald Trump, said in a statement that it had decided to change direction and the tabloid title no longer fit with its portfolio of assets. The possible sale of the National Enquirer was first reported by The Washington Post. American Media did not say whether it was in talks with a possible buyer, but a sale would come just months after the supermarket tabloid revealed on its front page that Amazon CEO Jeff Bezos, who owns the Post, was having an affair. Bezos later accused the National Enquirer of extortion and blackmail for threatening to publish embarrassing photos of him and his girlfriend. The magazine publisher said it also would sell two other tabloids: the Globe and the National Examiner. “We feel the future opportunities with the tabloids can be best exploited by a different ownership,” Pecker said in a statement, explaining that the company was developing a broadcast, audio and events business instead. Bezos described how he wouldn’t be shamed after learning the magazine possessed compromising photographs. He alluded to the possible involvement of foreign governments in the incident. The National Enquirer was also found to have engaged in “catch and kill” arrangements with women who claimed to have had affairs with Trump that included payments of hush money. American Media also owns US Weekly, Star, OK!, In Touch and Life & Style.